These episodes are sponsored by Told Video: Original, thoughtful storytelling for your brand. Here to help you with your next step in marketing: a meaningful video. Let your story out into the world – get it Told. Learn more at Toldvideo.com. Angela Lussier is the founder of the Speaker Sisterhood and also an award-winning speaker, six-time author, and two-time TEDx presenter. 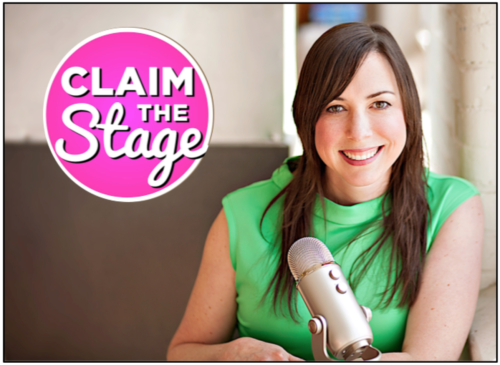 She is the host of Claim the Stage, a public speaking podcast for women. Her motto: Stop waiting. Start creating.